Impellers need to be changed regularly. Let’s work together to avoid this! If you seek assistance we will need as much of the following information as possible, if applicable, to help you find the product you are looking for. PERMATRIM, SKEGGARD and SLIDE ANCHOR. 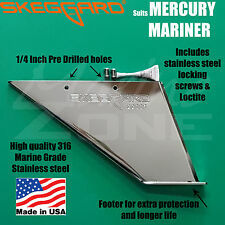 Only Skeg Guard on the market with a footer for extra protection and longer life! - 40-50-60 HP 2 & 4 Stroke 2003 & NEWER, USA assembled motors only(Part#99034). Boost fuel efficiency, improve performance, reduce on-plane rpm and plane at lower speeds. Especially good for deck boats and pontoon boats. Light weight and strong! Perfect for the interior or exterior on boats and RV. Evinrude Johnson Lower Units. Yamaha Outboard Lower Units. General Information. Seals and Seal Kits. General Information. 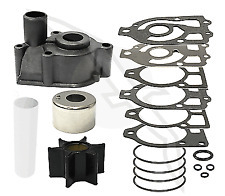 61A-W0078-A3-00 Yamaha Water Pump Repair Kit contains the following OEM parts 61A-W0078-A3-00 Yamaha Water Pump Repair Kit will fit the following models 6E5-44315-A0-00 - WATER PUMP GASKET (1). Z300TXRD 2005. Repair Kit. Poly Wobble Roller Kit. Transom Drain Plugs. Light weight and strong! Perfect for the interior or exterior on boats and RV. Easy to install in minutes. This is a gear case seal kit for Johnson and Evinrude 9.5 and 10 hp outboard motor lower units. Below you can find a application guide for this kit. Lower Unit Gear Housing Seal Kit for Johnson & Evinrude. This water pump housing replaces OE#: 61A-44311-01-00 and 61A-44311-00-00 and it fits Yamaha outboard lower units with the following applications: V4 standard rotation 1984-current, V6 standard rotation 2.6L 1984-current, 2.6L counter rotation 1992-current, V6 standard rotation 3.1 & 3.2L 1990-2006 , and 3.1 & 3.2L V6 counter rotation 2004-current. 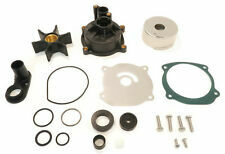 This water pump kit replaces OE#: 0395270 and fits Evinrude/ Johnson outboard lower units. Evinrude Johnson Lower Units. Yamaha Outboard Lower Units. General Information. Cheap cheapest low lowest cost price 1969 1970 1971 1972 1973 1974 1975 1976 1977 11978 1979 1980 1981 1982 1983 1984 1985 1986 1987 1988 1989 1990 1991 1992 1993 1994 1995 1996 1997 1998 1999 200 35hp 40hp 45hp 50hp 55hp 60hp 65hp 70hp 75hp 80hp 90hp 100hp 115hp 125hp 135hp 140hp 150hp 175hp 200hp. Lower Unit Gear Housing Seal Kit for. 4 Hp (1 CYL.). 5589202 & Up 1980 - 1986. 4.5 Hp (1 CYL.). 4107220 & Up 1975 - 1985. 7.5 Hp 4851693 & Up 1978 - 1986. 9.8 Hp 4839254 & Up 1978 - 1985. as detailed in the chart below. This kit includes the upper housing. As detailed in the chart below. Kit Includes gaskets, seals, O-rings and screws as illustrated to reseal lower gearcase. Gear Housing Seal Kit for Johnson & Evinrude. 235 hp 1977 - 1986. 150 hp 1978 - 1986, 1991 - 1995. Johnson/Evinrude PN: 395289. Johnson Evinrude 20hp 1982 & Up. Johnson Evinrude 25hp 1979 & Up. Johnson Evinrude 28hp 1978 & Up. Johnson Evinrude 30hp 1984 & Up. Johnson Evinrude 35hp 1978 & Up. Light weight and strong! 125 hp (4 Cylinder) 0D283222 & Up. 70 hp (3 Cylinder) 0A996142 & Up. 75 hp (3 Cylinder) 0C222000 & Up. 80 hp (3 Cylinder) 0A996142 & Up. 90 hp (3 Cylinder) 0A996142 & Up. 100 hp (4 Cylinder) 0B209468 & Up. We will be very honored to provide you with quality service. 50 Hp 4 Cyl. 1978-1985 4962056 & Up. 40 Hp 2 Cyl. 5556230 thru 6445653. This water pump kit replaces OE#: 0393630 and fits 2 cylinder Evinrude/ Johnson outboard lower units. Evinrude Johnson Lower Units. General Information. 0397499 Roller & Sleeve AY. BRP OMC SysteMatched. OEM Part Number 0766465. and Part Numbers Before Ordering. This anode replaces OE#: 0432397 and fits 4-8 HP 2 stroke (1980-2005) and 5-6 HP 4 stroke (1996-2004) Evinrude Johnson outboard lower units. Evinrude Johnson Lower Units. U-Joint and Parts. General Information. 765730 - OMC SysteMatched Gearcase Lube Pump. 765726 - Hi-Vis Gearcase Lubricant - 1 Quart. NOS New in package OEM Mercury Mariner Force Gearcase Seal Kit 26-43035A This will fit various models and years. Please use part number for your application. Fast free shipping!! OMC Johnson/Evinrude 438592. 50hp Johnson/Evinrude 1989-1998. Water Pump Kit. Poly Wobble Roller Kit. Transom Drain Plugs. Light weight and strong! Perfect for the interior or exterior on boats and RV. Yamaha spacer 688-45997-01-00. Near new condition, only installed from factory for testing. YAMALUBE GEARCASE LUBE & GASKETS, WITH PUMP. - YAMALUBE MARINE GEARCASE LUBE. Gearcase lube & Gaskets w/ Pump for All Yamaha Outboards (Except V8 models). 2 - YAMAHA OEM LOWER UNIT DRAIN/FILL GASKETS. Gearcase seal kit for Johnson and Evinrude 9.5 hp outboards. Replaces 0311598. 61-6552 Johnson / Evinrude 2-300 Hp. 0432639 Roller & Sleeve AY. BRP OMC SysteMatched. OEM Part Number 0765547. and Part Numbers Before Ordering. This Yamalube Marine Gear Case Lube is intended for use in all outboards of 250 HP or less (excluding Yamaha 4.2L V6 outboards). Thrust Washer. Tab Washer. Tab Washer Receiver. Kit Includes The weight of each item will be added together when you check out. Fits the Following Applications. SKU# 0307949. Evinrude Outboard Parts by Year 1975 25503B GEARCASE Johnson Outboard Parts by HP 25HP 25R73A 1973 GEARCASE. Evinrude Outboard Parts by Year 1976 25602E GEARCASE Johnson Outboard Parts by HP 25HP 25EL74M 1974 GEARCASE. Continuity Kit 99940A2. ALPHA ONE GEN I REPAIR KIT. Complete water pump impeller repair kit. Includes Housing, liner, impeller, water tube, and all necessary gaskets, o-rings and seals. Made in the USA. New, lower unit or gear housing seal kit for Chrysler & Force outboard motor applications as detailed in the chart below. Includes the necessary seal and o-rings to reseal your lower unit. Gear Housing Seal Kit for Chrysler & Force. Johnson and Evinrude part numbers: 317843 321453. Gearcase seal kit for Johnson and Evinrude 8 hp 4 stroke, 9.9 and 15 hp 2 stroke. The seal kit includes all seals and O-rings to reseal your lower unit. This kit will not fit 8 hp 2 stroke engines or Johnson 9.9 and 15 hp 4 stroke Suzuki built engines (2002 - 2007). YAMAHA SKEG GUARD. Only Skeg Guard on the market with a footer for extra protection and longer life! 200-225-250-300hp 2 & 4 Stroke 2003 - 2017. MARINE ZONE. WHO ARE WE?. Supersedes Part #s: 0027283, 0982851, 0912625. SKU# 0307551. SHAFT, N/A US - GEARCASE. SHAF - GEARCASE. SHAF - CYLINDER AND CRANKCASE. SHAF - EXHAUST HOUSING. Volvo 825940 / 860203 / 3855546 / 3858256 / 3862281 / 21213660 / 876243 / 3862567 / 3856039 / 877400 / 3862567 / 3856029 / 21951346. Johnson Water Pump Impeller Rebuild Kit 09-1027B 09-1027B1 18-3081 9-45703. 1 x Impeller. Johnson Evinrude 9.9hp (2-Stroke) 1974 & Up. Johnson Evinrude 15hp (2-Stroke) 1974 & Up. Johnson Evinrude 9.9hp (4-Stroke) 1995 thru 2001. Johnson Evinrude 15hp (4-Stroke) 1995 thru 2001. Impeller Service Kit. Impeller (Replaces 47-89984T4). Water Pump Base Gasket (27-856704). Poly Wobble Roller Kit. Over the years we have acquired the knowledge, experience and inventory second to none. 150hp 2 & 4 Stroke 1984 - 2017. YAMAHA SKEG GUARD. Only Skeg Guard on the market with a footer for extra protection and longer life! We are agents for. and Accessories. Suppliers of Quality Marine Parts. 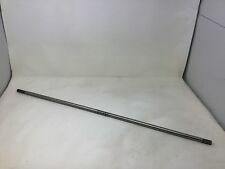 OMC 9.9, 15 hp Drive shaft Johnson Evinrude 321456 387607 329511 341591 NOS? 1973 1974 50 hp OMC Johnson Evinrude Outboard Lower Unit excellent condition! The lower unit of your outboard takes a lot of wear and tear over time, and components may need to be replaced to keep it in top performing condition. If you need to repair parts on your lower outboard, you have a wide selection of lower unit components to choose from to get the job done. How do you choose the correct lower unit and components? What lower unit issues should you look out for? Outboard lower units house parts like gears, bearings, water pump, shift linkage, and driveshaft. If there is an issue with one or more of these vital parts, your boat's overall performance will suffer. The propeller is slipping. Hitting debris in the water is one example of how propellers can become damaged. Additionally, if what the propeller hit was hard enough, the prop may slip on its hub, which will affect the outboard's steering. Gears slipping. The shift rod linkage or the linkage connected to the gear shifter will wear out over time, resulting in the outboard motor slipping out of gear. Oil has turned a milky color. Finding oil in the lower unit that has turned a whitish color is indicative of an oil leak, often as a result of a bad or broken propeller seal. If the motor is sputtering or stalling, this is this first place to look. What kind of regular maintenance does your lower unit require? Preventive maintenance isn't only about safety, it's also about sustaining the value of your watercraft. For this reason, it is good practice to tweak, adjust, and fix problem areas as they arise. Furthermore, keeping emergency spare parts for your lower unit on-hand will save you time and decrease the chances of things getting worse. The lower unit is the mechanism that deals with the most stress, wear, and tear, which is why you should put it at the top of your list for regular maintenance checkups. How do you choose the propeller for the lower unit? 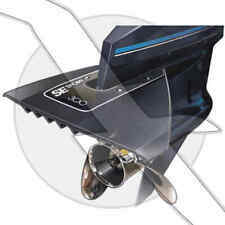 If your boat's propeller needs to be changed and you are wondering what type of propeller you need, you should first consider what you're wanting to achieve. Once you have that figured out, find which hub kit matches your engine's specifications. Once that is done, select a prop housing that coincides with your boating needs.